Moscow has repeatedly called US plans to abandon the INF very dangerous, saying it might draw entire regions of the world into an arms race. The US possible withdrawal from the Intermediate-Range Nuclear Forces (INF) Treaty would be a big mistake, Kremlin spokesman Dmitry Peskov said Monday. "In any case, we would consider the move, let's say, a big mistake," Peskov told reporters. He also noted the United States had not yet notified Russia about the withdrawal, adding that in case the withdrawal took place, Russia would not have to take similar steps to terminate the treaty. When asked to comment on US President Donald Trump's statement about the possibility of talks with the Russian and Chinese counterparts on stopping the arms race, Peskov said Moscow would welcome real actions by Washington in that regard. 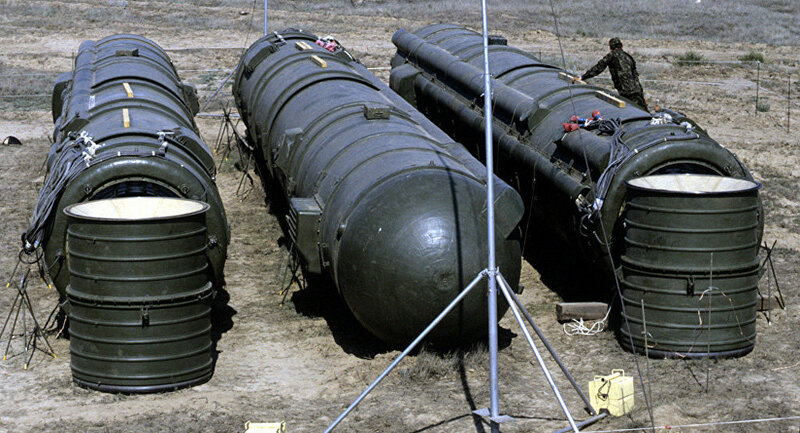 The INF Treaty was signed by the Soviet Union and the United States in 1987, and prohibited either country from possessing, producing or testing ground-launched ballistic and cruise missiles with a range of between 500 and 5,500 km. The treaty was aimed primarily at reducing the threat nuclear war in Europe, specifically due to the short flight time of nuclear missiles launched from European countries, which it was feared might push some military planners to propose first strike decapitation attacks against the other side. Russian officials have called the US plans to withdraw from the INF very dangerous, saying it might draw "entire regions of the world into an arms race," adding that they were prepared to clarify any possible problems the US had with the treaty.